Local businesses are sure to have a great time while promoting their brand. 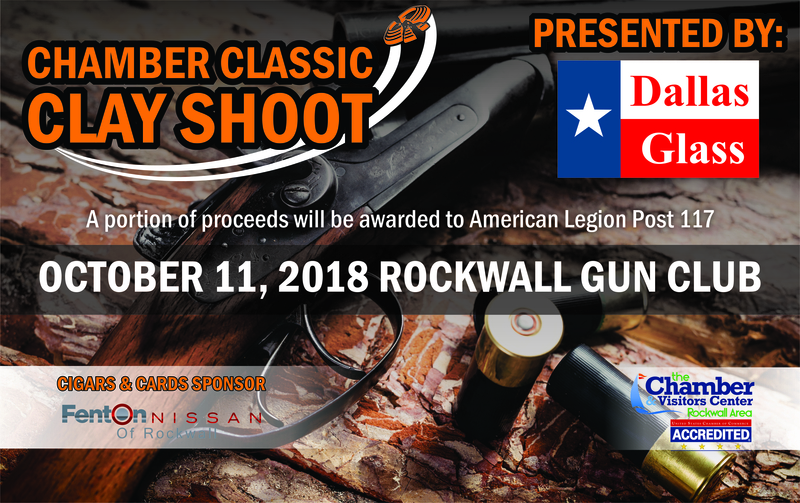 The Rockwall Area Chamber of Commerce is proud to produce this opportunity to bring like minded individuals together to not only network, but to enjoy a day of fun, camaraderie and competition. 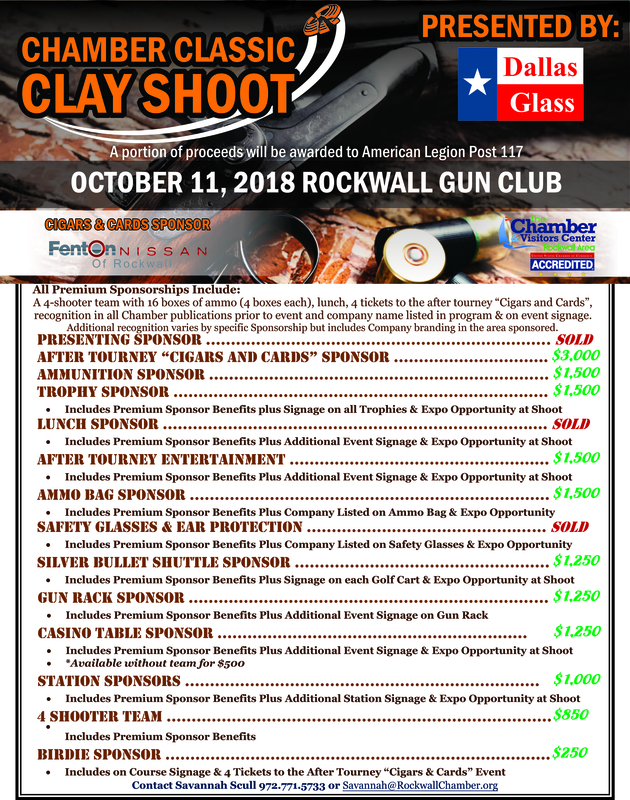 This afternoon event features Clay Shoot Tournament, Lunch, Happy Hour, Cigar Car, After Tourney Casino and Awards.